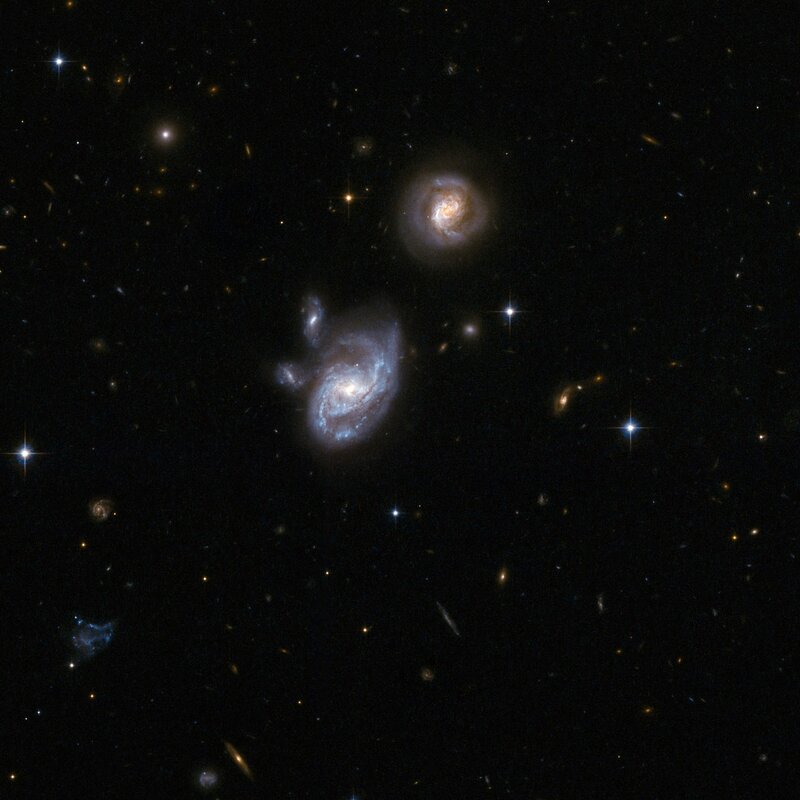 2MASXJ09133888-1019196 comprises two interacting galaxies that are both disturbed by gravitational interaction. The wide separation of the pair -approximately 130,000 light-years - suggests that the galaxies are just beginning to merge. Together the two galaxies form an ultraluminous infrared system, which is unusual for the early stages of an interaction. One possible explanation is that the one or both of the components have already experienced a merger or interaction. Giant black holes lurk at the cores of both galaxies, which are found in the constellation of Hydra, the Sea Serpent, about 700 million light-years away from Earth. Position (Dec): -10° 19' 28.98"